Pioneers in the industry, we offer resharpening machine or tap and tool grinder machine, hydraulic surface grinder, lanco type threading die head, circular thread rolling dies, lanco type pipe & bolt threading tangential chaser die and lathe machines from India. 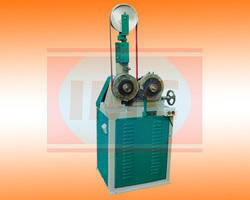 Tap and Tool Grinder Machine is used for re-sharpen the taps and tools. Taps, like all other cutting tools, become dull through use. Dull taps can produce either oversize or undersize holes. They may chip, produce poor threads, or break in extreme cases. This Tap and Tool Grinder Machine is used for dull or bad tools re-sharpening outside and saving the cost of hiring the skilled worker for re-sharpening taps and tools. This Tap and Tool Grinder Machine will be saving your cost and time. Industrial Machinery Corporation has uniquely positioned ourselves as a dependable firm, engaged in manufacturing and supplying a commendable array of Resharpening Machine. These Tools and Taps Resharpening Machines are manufactured using excellent quality raw material and latest technology by our skilled professionals. 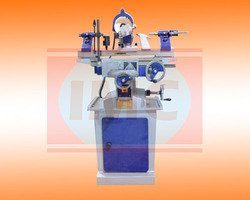 In order to ensure quality, this Tap and Tool Grinder Machine are stringently tested on various parameters by our experts. Apart from this, remarkable quality and durability increase the demand of our offered range in the market. No injure during the re-sharpening process and saving time from re-sharpening taps and tools. The first and foremost point of consideration, while purchasing a Surface Grinder Machine, or more specifically a Hydraulic Surface Grinder Machine is that it should be purchased from a reliable organization. The longer the company has been in the market, the lesser the chances that their products are spurious or sub-standard. Such companies have invested a lot of time, money and effort in establishing their name, and would not want anything tarnishing it. Powe of Hydraulic Pump 2 H.P. 2 H.P. Electric Motor 1 H.P. 1 H.P. Weigh of Machine (Approx.) 850 Kgs. 950 Kgs. A good grade Lanco Type Threading Die-Head will have a system that is so advanced that little human intervention will be required. This will not only ascertain that the work done is completed with perfection, but will also reduce human effort. The way these Lanco type threading die head are fabricated, the quality inspection team, ensures that there are no breakdowns, during operation. 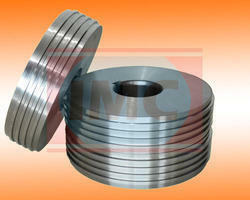 We are reckoned among the best Lanco threading die head manufacturers in India. Lanco Type Threading die head manufactured by us is passed through stringent heat treatment in our advanced imported treatment plant. 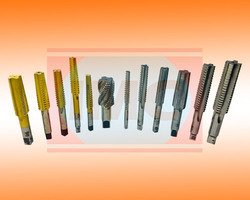 This threading die head is available in assortment of types with us such as Lanco type pipe threading die head, Lanco type bar threading die head, Lanco type bolt threading die head and Lanco type rebar threading die head, Lanco type rod threading die head, Lanco type pvc pipe threading die head and Lanco type bar threading die head. 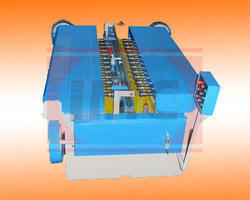 These threading die head are efficient enough to give high performance in loner use. We facilitate our client’s by providing easy accessibility of these threading die head at most reasonable prices. IMC HEAT Treated die head are of revolving type for application to hand operated, semi accurate to hand operated, semi automatic & automatic threading machines of rugged construction the Die heads provide accurate and trouble free operation over long production runs. Constructed of specially selected alloys steel, the IMC Die Head are recommended for threading upto and including class 3 tolerances and are well known for their ability to cut coarse pitch threads in a single pass. They have wide range converge, permit rapid set up, gives trouble free operations. 1/2" to 2.1/2” Capacity Die Head 1/2" to 1. 1/2"
1" to 4" Capacity Die Head 1" to 2"
2.1/2" to 6" Capacity Die Head 2.1/2" to 3"
We specialize in manufacturer and supply variety of Circular thread rolling die as per customers specifications and requirements. Our assortment of products caters to any and all models of thread rolling machines. All our products are manufactured by us are as per international quality standard. These thread rolling Dies are used on thread rolling machine. These Thread Rolling Dies comes in set of two and three pieces manufactured from D2,D3 and M2 Material to suit any type of machine. For any specification of thread such as ISO Metric Din White worhth America, Trapozodical, Acme etc. Pattern Dimensions 4" X 1/4" ,3" X 1.3/64", 4" X 1.3/64", 4" X 1.1/4", 5" X 2.1/4", 5"X 2.1/4", 4" X 1/4" ,3" X 1.3/64", 4" X 1.3/64", 4" X 1.1/4", 5" X 2.1/4", 5"X 2.1/4"
We offer a wide collection of Tangential chaser die such as threading chaser for pipe, bolt, bar, rebar, rod, pvc pipe & scaffolding pipe. We stand amid the well known steel tangential chasers suppliers in India. We are specialized IMC threading tangential chaser manufacturer. This Threading Tangential Chaser is manufactured from metallurgical standard proven imported high speed steel. These IMC Threading Tangential Chasers are designed as per international threading standard, which assist us in manufacturing natural and fine threads. These Landis tangential chasers are available in various lengths ranging from 1” to 6”depending on the size of the die head. BSP, BSPT, NPT, UNF, UNC, BSW threads that can be excellently and easily be cut on this tangential chaser. 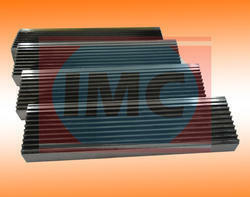 IMC Tangential Chasers are manufactured from imported High Speed Steel which must pass exacting metallurgical standard. Experienced heat treatment with the automatic imported heat treatment plant and imported Testing equipments, assures that they will perform satisfactorily in service and produce quality threads within the tolerance for which they ware intended. IMC Chaser are interchangeable. If one Pc. Of a chaser set is damaged & is beyond use. Then same No. pc. Of the other chaser set lying in stock may be used and there will not be any difference in threading performance and the damaged set can be replaced without the necessity of replacing entire set..
Lathe Machines is a machine tool that rotates the workpiece on its axis to perform various operations such as cutting, sanding, knurling, drilling, or deformation, facing, turning, with tools that are applied to the workpiece to create an object with symmetry about an axis of rotation. These are used in woodturning, metalworking, metal spinning, thermal spraying, parts reclamation, and glass-working. Lathes can be used to shape pottery as well. Power Required 1 H.P. 2 H.P. 2 H.P. 3 H.P. 5 H.P. Centerless Grinding Machine is a machine tool used for grinding, which is a type of machining using an abrasive wheel as the cutting tool. Each grain of abrasive on the wheel's surface cuts a small chip from the workpiece via shear deformation. It is used to finish workpieces that must show high surface quality (e.g., low surface roughness) and high accuracy of shape and dimension. Coolant Power Motor 0.10 H.P. 0.10 H.P. 0.10 H.P. Our company has established itself as a leading name of superior quality Heavy Dusty Milling Machine. This one from our side is used to machine metal, wood, and other solid materials. Often automated, milling machines can be positioned in either vertical or horizontal orientation to carve out materials based on a pre-existing design. ML - 10" ML - 11" ML - 12"' ML - 13.5"
Surface of Table 30" x 7" 42" x 9" 48" x 10" 52" x11" 54" x 12" 64" x 14"
Cross Travel 6" 7" 8" 10" 12" 15"
Vertical of Travel 13" 15" 16" 22" 26" 32"
Longitudinal Travel 15" 21" 24" 26" 27" 32"
Standard Arbor 1" 1" 1" 1" 1" 1"
Dia of Spindle 2" 2" 2" 3" 3" 4"
Motor Required 1 H.P. 2 H.P. 2 H.P. 2 H.P. 3 H.P. 5 H.P. Threading is divided into two types, internal and external. Internal threading is done by using a tool called a TAP in a hole drilled to a specific diameter for the thread size and pitch you want to cut. External threads, such as for bolts and studs, are made by using a tool called a DIE, which is applied to a specific diameter of rod for the size and pitch of the threads you want to cut. Taps and dies are tools used to create screw threads, which is called threading. Many are cutting tools; others are forming tools. A Threading Tap is used to cut or form the female portion of the mating pair (e.g., a nut). A die is used to cut or form the male portion of the mating pair (e.g., a bolt). The process of cutting or forming threads using a tap is called tapping, whereas the process using a die is called threading. Both tools can be used to clean up a thread, which is called chasing. A Threading Tap cuts a thread on the inside surface of a hole, creating a female surface which functions like a nut. With the help of Multi Drilling Machine you can make the several drills in the straight pipes at the same time, In resuly it makes the high production and make the work more easy. It is mainly use for drilling on the long length pipes. It is also use in scaffolding industries. This Machine Manufacture by Industrial Machinery Corporation is very heavy duty. 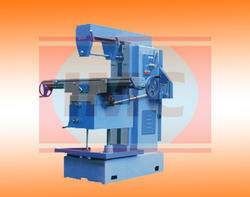 Multi Drilling Machines are fabricated using high grade steel. We are a noteworthy manufacturer and provider of premium quality Buffing Machine that is accessible with us in various details. 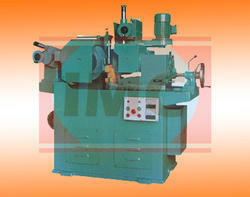 This machine has propelled support for polishing the materials, machine, and so forth. Known for the simple and advantageous task, this machine is generally acclaimed by our customers. It is definitely manufactured under the stern observation of our deft group by making utilization of value guaranteed materials. Aside from this, we are offering this Buffing Machine at reasonable costs to our customers. Industrial Machinery Corporation is your one-stop destination to buy different Machinery online at best prices. Industrial Machinery Corporation assorts a wide range of Machinery products such as Threading Machine, Bar Threading Machine, Bolt Threading Machine, Rod Threading Machine, Rebar Threading Machine, Cuplock Welding Machine, Mig Welding Machine, Base Jack Welding Machine, Inner Prop Welding Machine, Outer Prop Welding Machines, Scaffolding Machinery Unit, Hydraulic Thread Rolling Machine, Power Press Machine, Scaffolding Pipe Threading Machine, Pipe Cutting Machine, Pipe / Rod Polishing Machine, Buffing Machine and other essentials at best prices online. 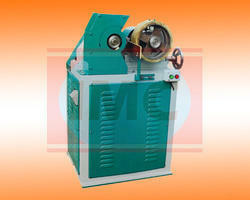 Buffing machines are generally used to improve the metal surface. Be it automobiles, machines or even glass, Buffing machine to expel the dull outlook of the metal surfaces and give it a refined new look. There are a lot of Buffing machine and distinctive method of buffing. There are different types of Buffing Machine accessible and the uses of the particular machine it makes your assignment essentially easier. Approx. Weight in Kg. 300/400 Kg. With the evolving time, we are adopting the technological advances and trying to offer a wide scope of Pipe and Rod Polishing Machine. It is made by our specialists utilizing optimum grade materials. This is utilized for polishing the pipe rods in the required amount. Moreover, this Pipe and Rod Polishing Machine is accessible in particular models and different details at market leading costs. 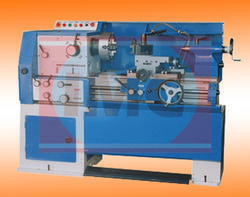 We are engaged in manufacturing and supplying of an extensive variety of Pipe Polishing Machines. 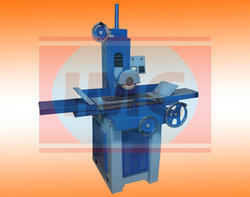 These minimal estimated machines are strong in development and guarantee greatest solidness and toughness. Approx. Weight in Kg. 400/500 Kg.